Motuihe Island Regatta - ﻿﻿Waikato Yacht Squadron Inc. RACING INSTRUCTIONS: Shall be in accordance to the “Standard instructions of non-regatta races” except those that are altered by these sailing instructions. ENTRIES: To the race co-ordinator by VHF channel 77 by 0900 hours advising name of yacht and whether towing a dinghy (trailer yachts only). 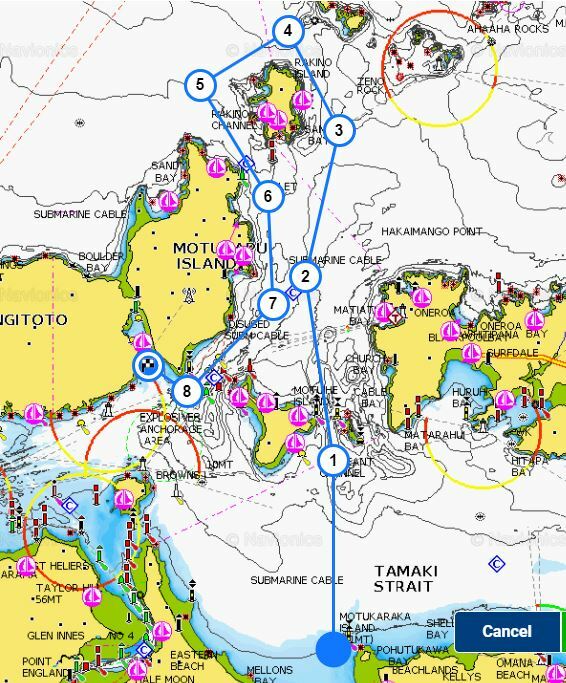 BRIEFING: The race officer will give a briefing at 0930 hrs on VHF ch 77 advising of any change to this NOR. DIVISIONS: The race will consist of two trailer yacht divisions and one keel boat division. TRAILER YACHTS: From the start to the finish at the entrance to Islington Bay. There are no rounding marks on the course. 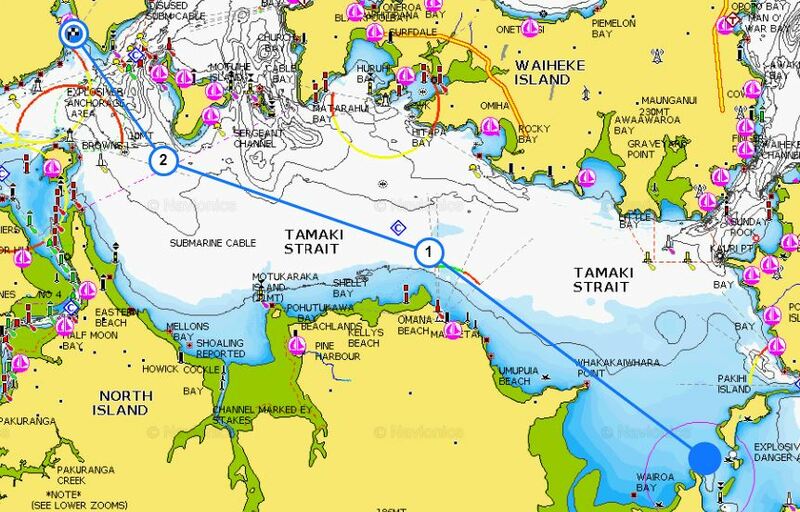 KEELERS: From the start to and through Sergeants Channel, Rakino Island to PORT, Motutapu Island to STARBOARD, to the finish at the entrance to Islington Bay. TRAILER YACHTS: Between the start boat and the end of the Ammunition Bay wharf. FINISH LINE: The first boat in should establish a line between the port entrance marker and the headland at the entrance to Islington Bay, and record the finish times of all following yachts in Hrs/mins/secs. On completion of race they should then advise the race co-ordinator of entrant finish times. Note: If weather conditions require a course change then the finish line for all classes will be at Owhanake Bay on Waiheke Island. This FINISH LINE shall be in a line between the first boat in and the outermost headland at the entrance to the bay. The line should be outside the bay and long enough to accommodate keel boats finishing from the Rakino island side. A change to this course will be advised at the briefing prior to the start of race. DINGHIES: Allowance will be made for towing dinghies (trailer yachts only). Any member/yacht wanting to participate in the gathering but not the race are most welcome.